Affiliate employer agreements that do not involve designated health services may not be subject to Stark Law. However, where there is an ownership nexus—shared parent or direct subsidiary—between the hospital and affiliate employer, regulators may be able to find Stark Law violations. As governmental agencies drill down well beyond simple compensation comparatives, into the productivity and collections information at issue, hospitals, health systems and the valuation consultants who advise these organizations need to be aware of the ever-increasing scrutiny not only of compensation but the fair market value opinions that may support such compensation. This article examines how one of the more concerning drill-downs is to closely examine the productivity or collections corresponding to compensation. 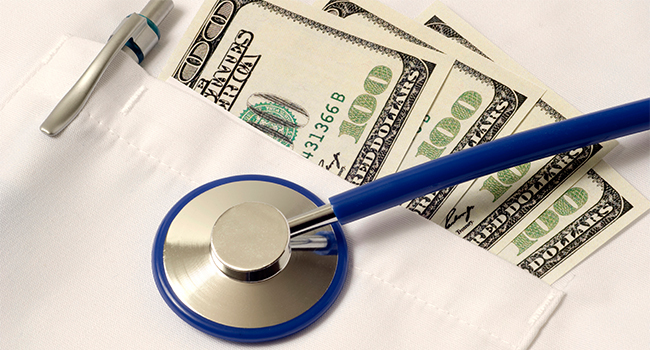 In assisting their healthcare clients to establish or justify physician compensation, it is prudent that valuators also understand the regulatory implications of any potential or apparent disconnect between the compensation paid and the actual productivity tied to such amount, and to address that disconnect accordingly. The tide of settlement agreements likely has yet to crest, as regulators continue to hammer hospitals and health care systems that enter into physician compensation arrangements, which raise potential red flags under the Stark Law (the Federal physician self-referral law) and anti-kickback rules and regulations governing hospital-physician financial relationships. Valuators are often key to demonstrating compliance under the complicated maze of safe harbors and exceptions that protect these types of arrangements. Stark settlement agreements in 2015 reached record-setting dollar amounts in excess of $118 million that are placing Stark penalties on par with kickback penalties. Physician employment agreements in particular are under substantial scrutiny, with analyses pulling hospital affiliate employers into the same position as direct hospital employment where the governmental agency alleges that some portion of the compensation is intended to pay for the volume or value of referrals to the hospital. In other words, where affiliate employers do not provide what are defined as designated health services under the Stark Law—such as hospital services, diagnostics, and physical therapy (DHS)—they generally are not subject to the Stark Law and the compensation arrangement with the employed physician does not need to squarely fit within a Stark Law exception to be permissible. However, due to the ownership nexus (shared parent, direct subsidiary, etc.) between the hospital and the affiliate employer, to the extent regulators are able to argue that the affiliate employer is paying in excess of fair market value, they then deem that overpayment as compensation for the volume or value of referrals to the affiliated hospital or hospitals, in violation of the Stark Law. This problematic tie to volume or value of referrals then brings the arrangement squarely under Stark scrutiny and potential penalties. Their theory is, “Why would an employer otherwise pay more than is fair market value for a physician’s services, but for this inherent value to the organization?” Taking this further, regulators deem the claims submitted in connection with these impermissible arrangements to constitute false claims under the Federal False Claims Act, which is where penalties can add up. As governmental agencies drill down well beyond simple compensation comparatives, into the productivity and collections information at issue, hospitals, health systems, and the valuation consultants who advise these organizations need to be aware of the ever-increasing scrutiny not only of compensation but the fair market value opinions that may support such compensation. One of the more concerning drill-downs is to closely examine the productivity or collections corresponding to compensation. In assisting their healthcare clients to establish or justify physician compensation, it is prudent that valuators also understand the regulatory implications of any potential or apparent disconnect between the compensation paid and the actual productivity tied to such amount, and to address that disconnect accordingly. As a quick overview, the two key Federal laws that govern financial relationships between physicians and other entities involved in the delivery of healthcare are the Stark Law and the Anti-Kickback Statute (AKS). The Stark Law generally applies to all compensation arrangements between hospitals/health systems and their referral-source physicians including, especially, their employed physicians. If these physicians are referring Medicare patients to the hospital for any goods or services reimbursed under the Medicare program, the compensation arrangement needs to fit within a Stark exception—a regulatory framework that requires compliance with various factors depending on the type of relationship (e.g., the Stark Employment Exception). Key to many of the exceptions, including the Stark Employment Exception, is that the compensation not exceed fair market value and that the arrangement is commercially reasonable. Similarly, the AKS is also implicated by such arrangements, but instead is focused on whether the relationship involves payment for referrals (i.e., kickbacks). Although a hospital must fit a financial relationship within a Stark exception if the Stark Law is implicated, it is not required to meet an applicable AKS “safe harbor” but safe harboring is prudent. As with the Stark Law, fair market value and commercial reasonableness are two concepts drilled into many of the safe harbors. Hospital employment of physicians should meet the Stark Employment Exception: (1) the employment is for identifiable services; (2) the amount of the remuneration under the employment is: (i) consistent with the fair market value of the services; and (ii) except with respect to a productivity bonus based on services performed personally by the physician, is not determined in a manner that takes into account (directly or indirectly) the volume or value of any referrals by the referring physician; and (3) the remuneration is provided under an agreement that would be commercially reasonable even if no referrals were made to the employer. The AKS employment safe harbor is much simpler: the employment must be a bona fide employment relationship with the employer. As noted above, given the government’s position that excess compensation from a hospital affiliate employer may also implicate the Stark Law, it would be prudent for affiliate employers to adhere to the Stark Employment Exception as well, even if they do not provide DHS. Investigations of Stark Law violations oftentimes are the result of a whistleblower within the organization who may receive a substantial reward in the event the government assesses a penalty. Where a physician is being paid at the 75th percentile but is showing productivity at a much lower percentile, regulators may argue that the percentile differential is actually a disguised payment for referrals. The same is true for a physician paid at the 100th percentile yet only generating collections on par with the 50th percentile. This ties to both fair market value and commercial reasonableness findings. In other words, while on its face compensation set at the 75th percentile for an experienced specialist in high demand may seem reasonable, if the reality or the expectation is that the specialist’s productivity or collections will be closer to the 25th or 50th percentile, that can be a real problem to the extent the parties fail to document the appropriate reasons for the disconnect ahead of time—i.e., they need to be able to refute the negative inference that regulators may otherwise draw from the disconnect in the future. Fair market value means the value in arm’s-length transactions consistent with the general market value. General market value means…the compensation that would be included in a service agreement as the result of bona fide bargaining between well-informed parties to the agreement who are not otherwise in a position to generate business for the other party…at the time of the service agreement. Usually the fair market price is…the compensation that has been included in bona fide service agreements with comparable terms at the time of the agreement, where the price or compensation has not been determined in any manner that takes into account the volume or value of anticipated or actual referrals. The price…at which property would change hands between a hypothetical willing and able buyer and a hypothetical willing and able seller, acting at arm’s length without any referral relationships, in an open and unrestricted market, when neither is under compulsion to buy or sell and when both have reasonable knowledge of the relevant facts. We are interpreting “commercially reasonable” to mean that an arrangement appears to be a sensible, prudent business agreement, from the perspective of the particular parties involved, even in the absence of any potential referrals. An arrangement will be considered “commercially reasonable” in the absence of referrals if the arrangement would make commercial sense if entered into by a reasonable entity of similar type and size and a reasonable physician (or family member or group practice) of similar scope and specialty, even if there were no potential DHS referrals. It is prudent to have documentation or a valuation in place that supports compensation as fair market value, as well as an evaluation of commercial reasonableness as defined above, especially with respect to specialties that generate a fair amount of facility or technical fees for hospitals (e.g., surgical, cardio, neuro). When the valuator is opining on compensation that is not entirely productivity based (meaning it is not a reasonable, fair market value dollar amount per work RVU and not a reasonable percentage of collections after accounting for overhead and expenses), he or she should understand and address the tie between the compensation amount and the actual or anticipated productivity or collections. If historical information demonstrates that the physician produces more in line with the 35th percentile, his compensation should not be at the high end and this lower productivity should factor into the compensation amount, unless there are extenuating circumstances that will justify the gap and provide a solid counterargument to the government’s claim that the gap is simply to pay excess compensation to reward referrals. Certain settlements in 2015 that considered compensation versus productivity or collections disconnects also provide some further insights for valuators in particular. For example, a September settlement involving Columbus Regional Healthcare System and Dr. Andrew Pippas in Georgia turned, in part, on faulty wRVU data. The $35 million settlement (including $450,000 from the physician), and related corporate integrity agreement, was premised on several troubling factors including allegations of excessive compensation to this medical oncologist where his wRVU compensation included credit for work of other physicians and midlevels; upcoding and inflated wRVU numbers. This compensation was supported by a valuation but the valuator assumed that the wRVU numbers were accurately reported as personally performed by physician. This serves as a good lesson to valuators to really probe any wRVU data presented for a valuation opinion. Not only should the valuator caveat that he or she is assuming the data is accurate, it would be prudent to ensure the organization is appropriately applying relevant modifiers, and not allocating wRVU credit that belongs to another provider. Although some systems may misunderstand how modifiers and credits should be allocated, this is a faulty defense where the net effect is to over compensate a referral-source physician, and a valuation firm being caught up in this argument with the government is not a reputation-enhancing move. In the April 2015, Citizens Medical Center case in Texas, the hospital paid $21.75 million for alleged Stark Law violations related to a cardiologist whose compensation was allegedly above fair market value even though a valuation report provided evidence that the cardiologist’s compensation was below the national median. Here, the government reviewed the physician’s previous private practice compensation, which was lower, and the related practice losses, taking the cynical view that the “raise” was simply to capture and pay for referrals. Hence, the earlier private practice compensation, and the underlying productivity level that generated such amount, was a key factor in this investigation. Whenever valuators opine on compensation as physicians transition from private practice to hospital or hospital affiliate employment, they should consider the private practice income and productivity and not just the proposed employment compensation in a vacuum, since regulators will not take such a narrow view. This is not to say that compensation cannot increase, but rather the rationale for such increase must be appropriate and documented, as further discussed below. In another September settlement in 2015, North Broward Hospital District in Florida paid $69.5 million to settle alleged False Claims Act violations (under the Stark Law), regarding alleged excessive salaries paid to nine physicians as a reward for the referral of business. As with numerous other cases in 2015, the government alleged that excess compensation had to be tied to the volume or value of referrals, but here their argument was apparently bolstered in part on alleged “secret” compensation records called Contribution Margin Reports for cardiologists, oncologists and orthopedic surgeons, who collected salaries of one million dollars and up. Again, as these penalties continue to rise, valuators need to be careful in terms of asking for all relevant information in order to be able to deliver an informed opinion but also to caveat as to an assumption of the accuracy of the information provided. As another example, with more reasonable penalties based upon a self-disclosure, Tri-City Medical Center, a hospital located in Oceanside, California, agreed to pay $3.3 million to resolve allegations that it violated the Stark Law and the False Claims Act by maintaining financial arrangements with community-based physicians and physician groups that violated the Stark Law. One of the allegations was that five arrangements with its former chief of staff from 2008 until 2011, in the aggregate, appeared not to be commercially reasonable or for fair market value. In terms of productivity and the related compensation, valuators need to be aware of any and all compensation arrangements, since in a vacuum one or more may seem fine but in the aggregate, the actual productivity tied to the stacked compensation simply does not equate. The hire is necessary to round out specialty care, meet service line development objectives, provide sufficient call coverage, facilitate clinical integration efforts, or meet state agency requirements. There may be a solid rationale then for a ramp-up period where productivity will not necessarily align but the market calls for a certain salary guarantee in order to recruit the physician. Staffing/scheduling demands may have adverse implications on productivity, collections, and/or reimbursement. If the position necessarily has downtime staffing requirements (e.g., hospitalists and other specialists who must be onsite to meet clinical or level of services designation needs), or higher-than-average call requirements, this calls for work that will not generate corresponding wRVU credits. There may be operational influences adversely impacting productivity or collections through no fault of the employed physician and otherwise atypical for clinic/practices. For example, (i) employer is transitioning to a new EMR and the physician who is already trained and able to use another EMR will lose productivity in ramp up and transitioning to the new EMR, (ii) employer is adopting a new system at an expense disproportionate to standard/typical clinical practices because of a national sponsor initiative or roll-out, (iii) employer is working through physician services rate negotiations post transition from private practice under more favorable rates to employer’s practice (e.g., where the employer may not yet have particular specialist rates in place and hence collections reflect less than reasonable reimbursement a for a period of time). Note: these are often time-limited factors and should be short term. Valuators should confer with the organization and propose the anticipated duration of the ramp-up period, as well as the rationale behind such projection. Non-clinical activities may impact productivity yet reflect positive and meaningful value to the organization, such as teaching or medico-administrative functions. Break this compensation out into a separate category within the physician employment agreement, so as to clearly distinguish it from clinical services compensation, which is then measured against productivity. For example, teaching or medical direction may be paid hourly at fair market value, leaving clinical compensation as a separate category assessed for shortfalls, if any, between pro-rated clinical services compensation/expenses and clinical services revenue. Both hospitals/health systems and valuators need to pay close attention to the evolving guidance from regulators as to how the government is interpreting and applying the Stark Law to physician employment agreements in particular. Settlements in 2015 clarified that positing rationales for compensation-productivity disconnects after the fact may not be persuasive in overcoming the government’s presumed tie between alleged “excess” compensation and the actual work behind it. Building a solid record at the time compensation is established, and continuing to monitor actual productivity against anticipated productivity, is critical. Employment agreements that provide for compensation that is not productivity based (e.g., not a payment per wRVU or a percentage of net collections) should include required clinic hours or otherwise provide a contractual term against which the employer is able to otherwise measure productivity and to follow through on any material disconnects, whether by amending the corresponding compensation or otherwise further clarifying duties and expectations. 42 U.S.C. § 1395 nn et seq. (2013). Designated health services is a list of health services specified under the Stark Law. (This prohibition applies to all designated health services rendered after December 31, 1994.) The designated health services—meaning the limited set of services which implicate the Stark Law—include (i) clinical laboratory services, (ii) physical therapy, occupational therapy and speech-language pathology services, (iii) radiology and certain other imaging services, (iv) radiation therapy services and supplies, (v) durable medical equipment and supplies, (vi) parental and enteral nutrients, equipment and supplies, (vii) prosthetics, orthotics and prosthetic devices and supplies, (viii) home health services, (ix) outpatient prescription drugs, and (x) inpatient and outpatient hospital services (collectively, DHS). 42 C.F.R. § 411.351 (2013). 42 U.S.C. § 1395 nn et seq. (2013). 42 U.S.C. § 1320a-7b(b)(1) (2013). 42 C.F.R. § 411.357(c) (2013) (emphasis added). 42 C.F.R. § 1001.952(d) (2013). 42 C.F.R. § 411.351 (2013). Physician’s Referrals to Health Care Entities With Which They Have Financial Relationships, 63 Fed. Reg. 1659, 1700 (Jan. 9, 1998) (to be codified at 42 C.F.R. Pt. 411). Physician’s Referrals to Health Care Entities With Which They Have Financial Relationships (Phase II), 69 Fed. Reg. 16093, 16054 (Mar. 26, 2004) (to be codified at 42 C.F.R. Pt. 411). http://www.justice.gov/opa/pr/georgia-hospital-system-and-physician-pay-more-25-million-settle-alleged-false-claims-act-and (last visited February 26, 2016). http://ashcraftandgerel.com/wp-content/uploads/2013/10/Amended-Complaint-Final.pdf at page 17 (last visited February 26, 2016). http://www.justice.gov/opa/pr/texas-based-citizens-medical-center-agrees-pay-united-states-2175-million-settle-alleged (last visited February 26, 2016). http://www.justice.gov/usao-sdfl/pr/florida-hospital-district-agrees-pay-united-states-695-million-settle-false-claims-act (last visited February 26, 2016). http://www.justice.gov/opa/pr/california-hospital-pay-more-32-million-settle-allegations-it-violated-physician-self-0 (last visited February 26, 2016). Lynn Gordon chairs the firm’s Health Care practice in Chicago. She concentrates on the transactional, regulatory, and operational needs of hospitals, health systems and other provider entities, as well as life sciences companies. She counsels clients on mergers, affiliations, acquisitions, and divestitures. She also advises clients on regulatory issues such as compliance with fraud and abuse laws, FDA regulations, and Medicare/Medicaid reimbursement rules.